The Whitefoord (1388 LaFrance Street) is a limited offering of just seventeen spacious, luxury townhomes in the heart of Edgewood. Timeless yet metropolitan exteriors, thoughtfully crafted to honor the character and history of their surroundings, will combine with innovative interiors emphasizing bright open spaces, rich detailing and effortless outdoor living. Oversized decks and patios will offer unique and refreshing spaces to relax or entertain. 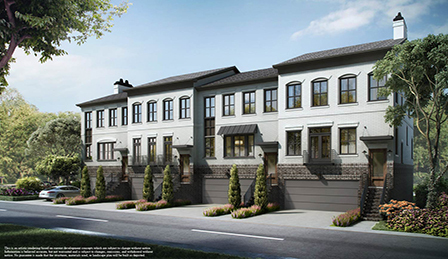 Many townhomes will have private backyards and some will have four car garages. Homeowners at The Whitefoord will enjoy the opportunity to personalize their new home with a refined selection of today’s best features and finishes.